HTTP header bulk tool. 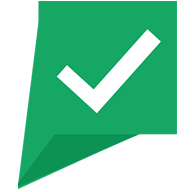 The bulk status code checker enables you to check the HTTP status code for multiple URLs. Some common response codes are: HTTP 200 OK / Success, the request has Succeeded and server has responded with a standard response. HTTP 301 Redirect, the requested URL has been Permanently Moved to a new location / URL. This redirect …..
Multi HTML Title tag tool. The HTML title is one of the most important on-page SEO elements. Besides the SEO factor, the title tag is also used on search engine result pages as title of a snippet. A well written Title tag is important for visitors as well as search engines. The HTML syntax used for the title tag: <title>The …..
Pinterest Pin Checker Tool. Use this tool to check the number of times a image, video or other objects from a page / URL is pinned using Pinterest. You can get the Pin count for multiple URLs using the Bulk Pinterest Pins checker and export the results to .CSV. The Pin count indicates how your visitors appreciate and interact with …..
Facebook Comments box tool. The Facebook comments box is a social plugin webmasters can easily integrate into their website. Use the FB comments box tool to check the number of comments for a specific URL. Facebook uses social signals to display high quality and most relevant comments for each user. When a user selects the option post to Facebook, friends …..
Meta description bulk tool. Search engines don’t use meta descriptions to rank a page, but meta descriptions are used on search engine result pages to give a short description of the content for a specific page . A well written and relevant page description is important to maximize the click-trough-rate. This tool enables you to check the meta description of ….. Check page headings, with the HTML Headings tool. Headings are used to structure the textual content of a web page and are an important on-page SEO factor. The most important heading is the H1 heading followed by the H2 and H3. There are six levels of headings available from H1 to H6. The H1 heading should contain the main subject …..